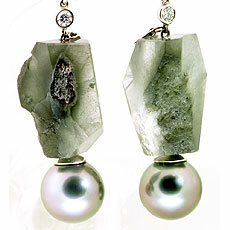 Custom made 18kt white gold grey quartz and Tahitian pearl earrings. The rough-cut quartz has a beautiful translucent quality. 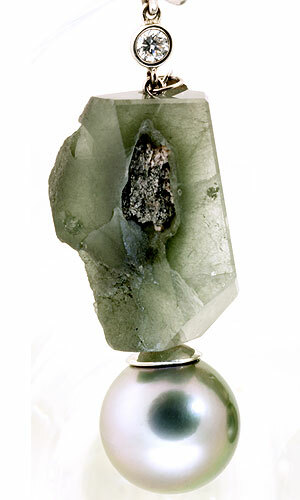 Light travels through the quartz and gets caught in the rocky haze radiating its beauty. 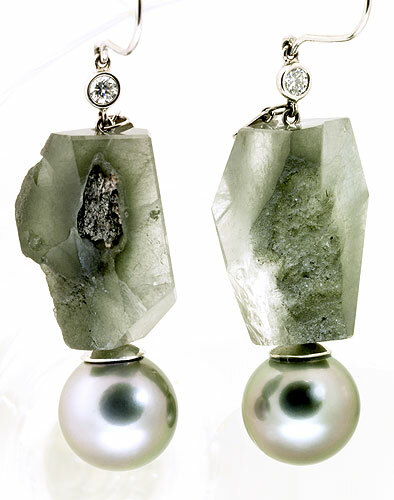 The round Tahitian pearl stands out beautifully against the rough quartz. These are bold earrings that demonstrate the contrast between rare beauty of the sea and primitive natural beauty from the earth.